Earlier today, unconfirmed reports on Suzukihayabusa.org forums stated that Bill Warner crashed at the Loring Standing Mile Event and was in route to Cary Medical Center. Later post from close family and friends confirmed that Bill Warner passed away from injuries sustained during the crash. Cary Medical Center has not directly confirmed his death. Bill Warner was the first man to pilot a conventional motorcycle to speeds in excess of 300 mph in 1.5 miles . His 311 mph run in 2011 set the bar and looks to be out of reach for many years to come. Today, Bill was looking to best his 278 mph standing mile run he completed at the Texas Mile. 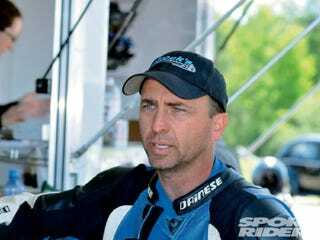 Bill clocked off a 296 mph run at Loring just prior to the crash that ended his life. Videos of Bill's insane runs can be found on Youtube, including an incident in his front wheel left the ground at 284 mph without incident, a testament to his riding skills and insane nature of the sport. Update : Cary Medical Center has released a statement by the family confirming Bill's Death.